mining captain (slang), underground captain (slang), underground manager; an agent (050) q.v. 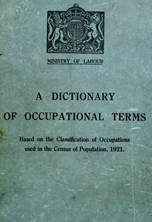 whose duties are confined to underground workings and who acts under instructions of agent or general manager (050) q.v. in charge of dressing floor labourers (056) q.v. (ii) contracts to keep in repair certain lengths of underground roads. is employed in stratified iron ore mine and has specific duties under Coal Mines Act; is responsible for safety and output of men working in his district; visits each working place at least once a day, tests ventilation, takes readings of thermometer and barometer, sees that all manholes are kept clear, that all drop holes and other dangerous places are fenced, and that all ladders and stages are in proper order, etc. ; keeps record of his observations in hook, and reports verbally to manager or, in manager's absence, to official in charge of mine, e.g., overman; in Cleveland also sets necessary roof supports; cf. back-bye deputy. is responsible for upkeep and safety of roads between working face and shaft or entrance level; puts in roof supports and does necessary timbering work, or supervises work of timberman (054) q.v. is in charge of underground haulage; cf. haulage foreman. a foreman q.v. who is responsible under engineer (050) q.v. for all mechanical plant in use in and about mine; examines and tests periodically boilers, chains, pumps, winding machinery, engines, etc. ; is assisted by various inspectors, e.g., chain inspector, pump inspector q.v. legal title of a deputy q.v. who holds certificate to fire shots; cf. shot firer. (iii) in tin mines, is usually employed above ground unless specifically designated as underground foreman. has charge of men and boys working at mine heap or brow; supervises tipping of ore, coupling and uncoupling of trucks; keeps time records of workers. a shift boss q.v. employed, under direction of manager (050) q.v., to examine working of mineral and ensure that proper pains are taken to obtain best possible output from any working; also ensures straight driving or holing of place, and sets compass marks for purpose; in some districts work is done by deputy q.v. assists engine wright q.v. by making periodical examinations of chains and ropes on haulage system; taps chains by hand with hammer to see whether links are sound. examines deposits, bed, lodes or veins of ore, ascertains probable mineral content and decides on most profitable method of working. examines pumping-machinery and reports as to maintenance and repairs to engine wright q.v. supervises screen men (056) and pickers (056) q.v. employed on the screens and picking belts; is responsible for the stone being sent out from the mine in a clean state; cf. keeker (041). see foreman ; sometimes used in sense of manager (050) q.v. supervises working of large section of mine under direction of manager or under-manager (050) q.v. ; acts as intermediate official between under-manager (050) and face deputy q.v. and is in charge in absence of under-manager; is responsible for the safety and output of district or districts; makes daily report in prescribed form. an overman q.v. in charge of back or afternoon shift. a deputy q.v. who is responsible direct to the undermanager (050). an overman q.v. in charge of mine during fore or morning shift in absence of under-manager (050) q.v. ; is superior to back overman q.v. in Midlands, see fore overman. is responsible for the inspection and maintenance of return airways from the last working place to the upcast shaft; has a gang of men working under him to build stoppings and doors necessary for ventilation, and to keep roofs, sides, etc., in repair.